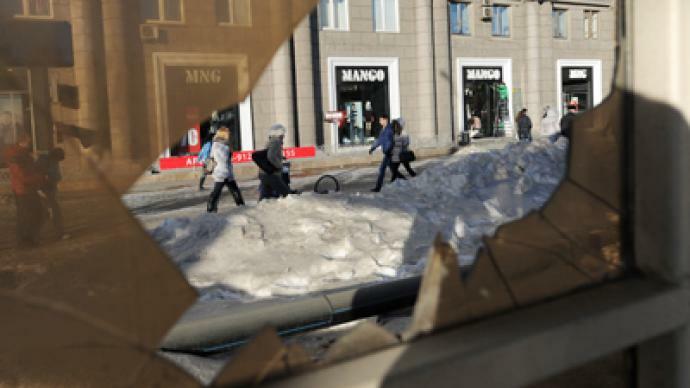 Emergency workers and volunteers are repairing damaged buildings and replacing 200,000 square meters of glass in Russia’s Ural region hit by the fireball blast. 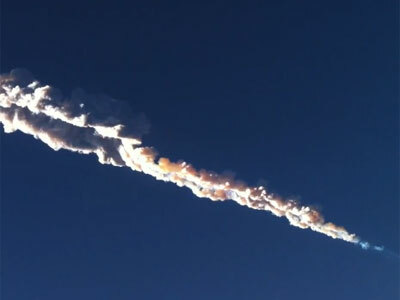 While the damage costs have soared, there’s still no trace of the meteorite itself. 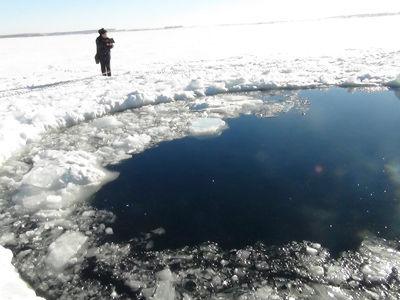 ­The Friday meteorite explosion injured nearly 1200 people and left thousands of homes exposed to a severe frost that reached as low as -20 degrees Celsius at night in some parts of the region. Official figures say 3724 houses, 671 education institutions and dozens of social, medical, sports and recreation facilities were damaged by the blast. Repair work in Chelyabinsk should be completed in three days, Russian Emergency Minister Vladimir Puchkov said on Saturday. He added that basic utilities such as power, transport and telephone lines are functioning normally and that “socially significant facilities” are the top priority of restoration efforts. Hundreds of the region’s schools that saw their windows shattered are expected to be opened by Monday. Some of the 289 injured children won’t be attending classes that soon though, as they continue to receive treatment in hospitals. Stories of heroic children rescue have appeared in the media. One teacher is said to have saved 44 school kids from injuries by telling them to hide beneath the desks and rushing to the door – only to be hit by a burst of glass shards. She, however, endured the pain and led the class out of the building unharmed. 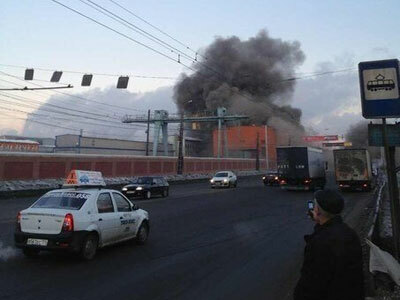 The teacher is now in hospital, according to Interfax. In the wake of the fireball conflicting reports said household owners in the region are encouraged to deal with the damage on their own. Meanwhile, insurance companies have refused to cover blast inflicted damages, defining the objects falling from sky as an Act of God, and ads offering urgent window repair have sprung up all over Chelyabinsk. But some people decided not to wait for the government’s help, and more than a thousand volunteers from all over the region have come to assist others with the cleanup and window repair. Both official and volunteer organizations continue to receive the calls from those willing to join the work and provide some humanitarian help. 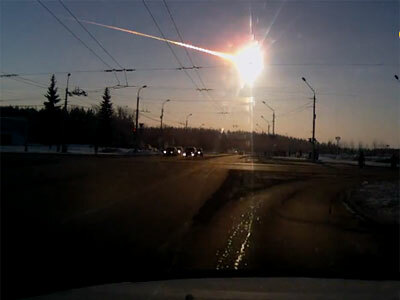 Despite the vast amount of damage done, there’s still no sign of even the smallest bit of the meteorite that caused it. That fact alone has already fueled various conspiracy theories on the Internet. The search for the meteorite parts has also been officially stopped in another two locations. 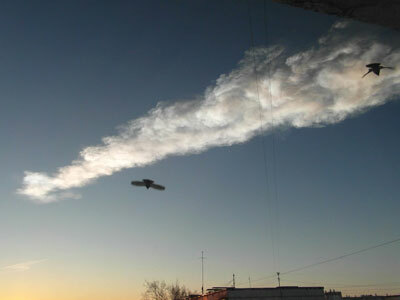 None of the findings that have been put on sale online, some of them priced as high as 300,000 rubles ($10,000), have so far been confirmed as fragments of a meteorite. Nevertheless, officials have urged people to give away 20% of any such fragments found, so they can be studied at research centers.